There are certain films and TV shows made for children that are needlessly freaky, and defy any reasonable explanation. These shows fall into the uncanny valley of kids shows: plots and images that are so frightening, it’s shocking they were ever made, let alone targeted at children. Part of Cartoon Network’s What A Cartoon! series, “The Kitchen Casanova” is not only disgusting, but deeply unsettling. In the cartoon, a man is nervously preparing dinner for his date… and then it all goes straight to the ninth circle of hell. As he hurriedly prepares dinner, he accidentally switches from recipe-to-horrible-recipe, creating a hodgepodge of nasty ingredients. Then, the Casanova presents a covered serving tray to his date. He uncovers the dinner, and reveals an image that has been seared into the brains of thousands of children: an eerily detailed drawing of a rolled up tongue, an eyeball (with lower lid still attached), bloody bones, and a severed human foot. As Casanova and his horrified date examine the meal, the tongue slowly unfurls, and twitches as he quickly slams the cover back onto the tray. If only the cartoon ended there. Instead, they begin to ravenously eat the pile of disgusting offal, amidst disgusting smacking, slurping, and giggling noises, leaving children haunted and questioning whether this cartoon actually happened, or was just a bizarre fever dream. Similar to What A Cartoon!, Oh Yeah Cartoons is an anthology of animated shorts. This version of the series, however, was even more chock full of disturbing cartoons. 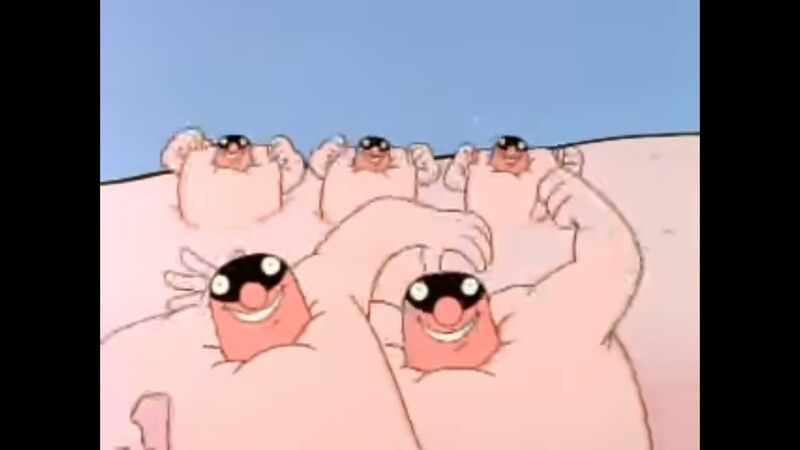 “A Kids Life” features a bunch of dancing, singing pimples, with a repetitive song about how they make kids lives’ miserable and can’t be stopped. This disgusting and fatalistic show tune that ends with a creepy, life-sized talking rabbit toy with a Donnie Darko-esque vibe. Not to be outdone, “Kenny and the Chimp” (an animated short that served as a precursor to The Kids Next Door), features a kid who unleashes and gets infected by a variety of deadly diseases, one of which causes his head to turn into a pig (which runs away at the sound of burning bacon). In terms of pure, psychotic energy, Slniečko wins the prize. 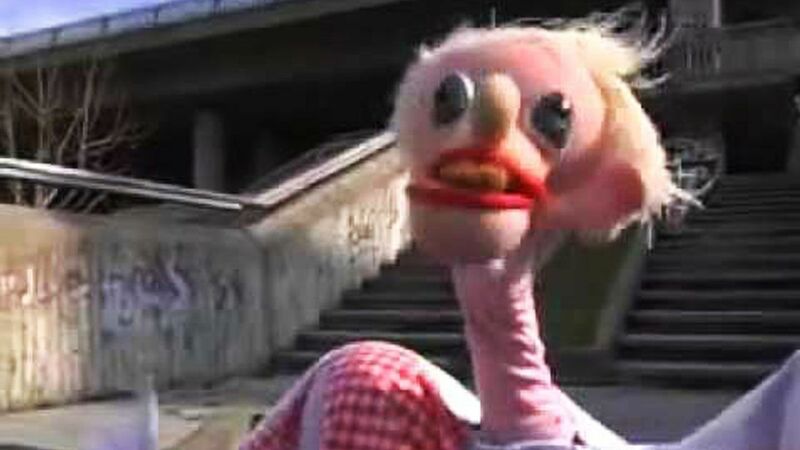 Starring a bizarre, long-armed puppet that looks like it was scrapped together using junk found in a haunted asylum’s dumpster, this kid’s show ran in Czechoslovakia in the 1980s. The puppet (named Raťafák Plachta, which translates to “big nose blanket”) is made up of two men under a sheet, and a puppet head that looks like the last feverish image that might flash before your eyes before dying of rabies. Hey, Czechoslovakia? Are you doing okay? Because here’s another Czech film that is concentrated nightmare jet-fuel. It’s not clear whether this 1988 adaptation of Alice in Wonderland is actually child-appropriate, which the film itself coyly hints at with the ominous narration, “Alice thought to herself…Now you will see a film…Made for children…Perhaps.” The surrealist film combines stop motion with a live action child-actor in a way that is deeply, primally disturbing. Most of the stop motion puppets are real taxidermied animals, with bulging eyes and fixed, startled expressions. Dead birds with fox skulls for heads make an appearance, skulls hatch from eggs, a piece of meat moves of its own accord, Alice turns into a creepy porcelain doll… and the sound design is just as viscerally disturbing as the visuals. It’s an indescribably trippy and horrifying film, and the experience of watching it could be most closely compared to getting high in a taxidermist’s workshop. Remember the 1999 Mr. Potato Head Show movie? If you don’t, you may have blocked out the memory. Pixar’s version of Mr. Potato head is loveable and goofy, whereas the Mr. Potato Head Show is… something else. What began as a TV show featuring a live action puppet of Mr. Potato Head, the spinoff movie’s entire plot is a lamentation of how the Mr. Potato Head Show was cancelled. This weird meta-commentary might be funnier if the movie wasn’t a Frankenstein of clips and muddled half-baked ideas that amount to the crazed rantings of the show’s scorned creators. There are weird animations with live-action human lips, a half-eaten heavily-pierced anthropomorphic apple, a puppet who appears to be a pile of assorted intestines, a half-ham-half-lobster abomination, a fruitcake with human teeth, aliens… watching this movie feels like pouring Drano into your ears and waiting for your brains to liquify. In one, “Cat” attempts to sneakily brush “Dog’s” teeth… by crawling inside his own mouth, traveling up through its body towards the Dog half, and exiting dog’s mouth. At this point, Cat is somehow inside-out, with expose muscle, vein, and eye tissue, that is both medically infeasible and Hellraiser levels of disturbing. 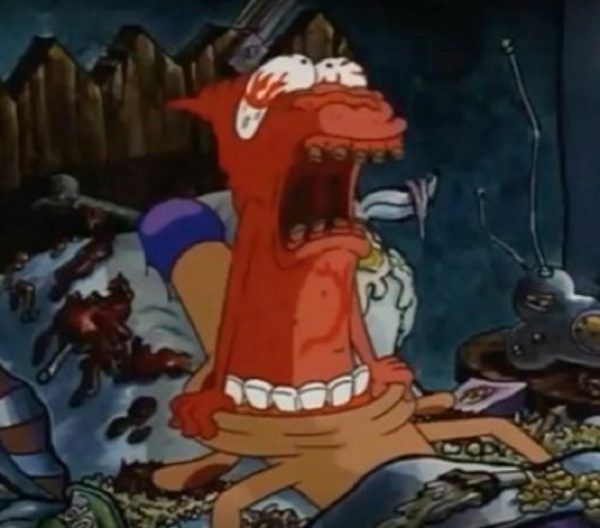 Thanks, CatDog for making ten-year-olds contemplate the frailty of the human mind. Help! I’m a Fish is a Danish children’s movie that was adapted to English, even acquiring the voice talents of Alan Rickman, Aaron Paul (before he was famous), and Terry Jones. The movie is about a group of kids who accidentally drink a potion that turns them into fish, and being stupid children, they lose the “antidote” that would turn them back into humans. It would be a mostly lackluster, forgettable children’s movie, if not for the villain: Joe, a fish who got a taste of the antidote potion, which apparently has the power to give fish human-like characteristics as well. Joe starts out as rather frightening, with a black and white face that looks more juggalo than fish, and a sinister voice (courtesy of the wonderfully dark Alan Rickman). 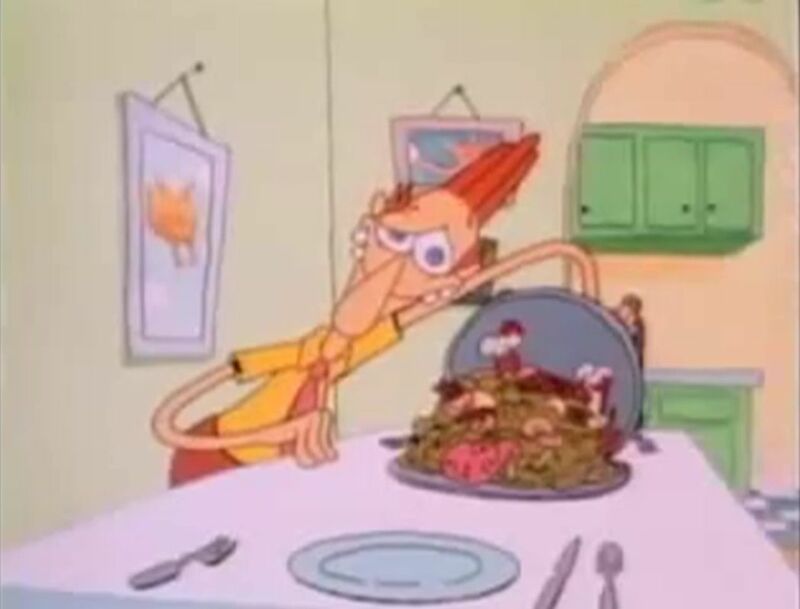 After the typical villainous arc, Joe greedily tries to consume as much of the antidote as possible to become fully human. Instead, he becomes an uncanny fish-human hybrid, his skin tearing apart like Jeff Goldblum in The Fly. 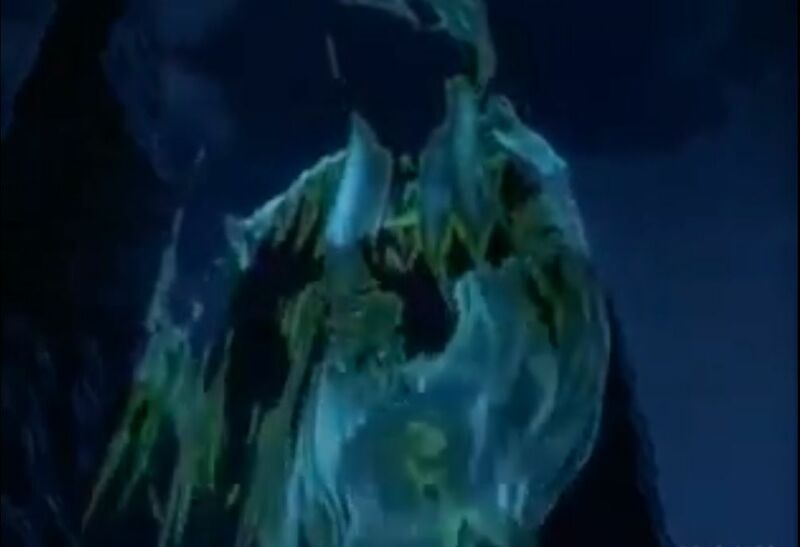 He subsequently drowns, since he makes the mistake of drinking the human-potion while underwater (it can’t be overemphasized how many bad decisions the characters in this movie make). O Canada was a 90’s Canadian-American kid’s TV show that aired on Cartoon Network. 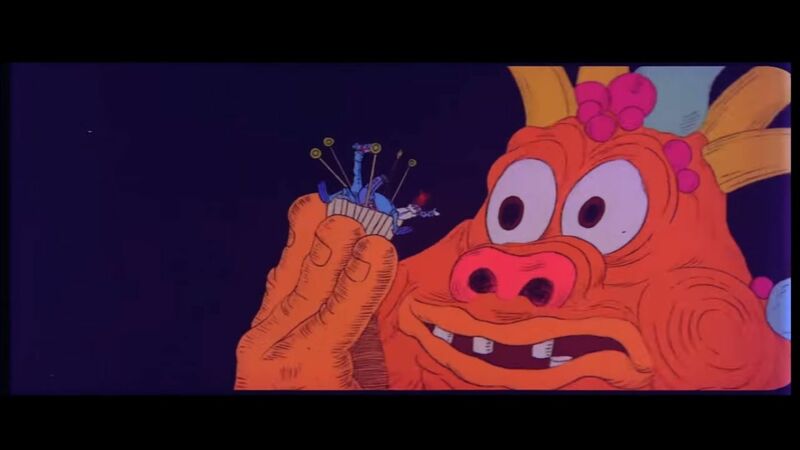 It featured a series of Canadian animated shorts straight out a LSD-fueled horrorscape. In “To Be,” a woman questions her own existence, visits a wacky scientist who has invented a “transporter” which, in reality, clones the subjects and kills the original copy (the plot of The Prestige, but for kids!). The scientist “transports” himself, but the original isn’t killed, leading to a showdown where the woman must decide if she should kill one of the scientist doubles… and she does. Then, wracked with guilt, she kills herself by stepping into the transporter, allowing herself to be vaporized as her clone walks guilt-free. 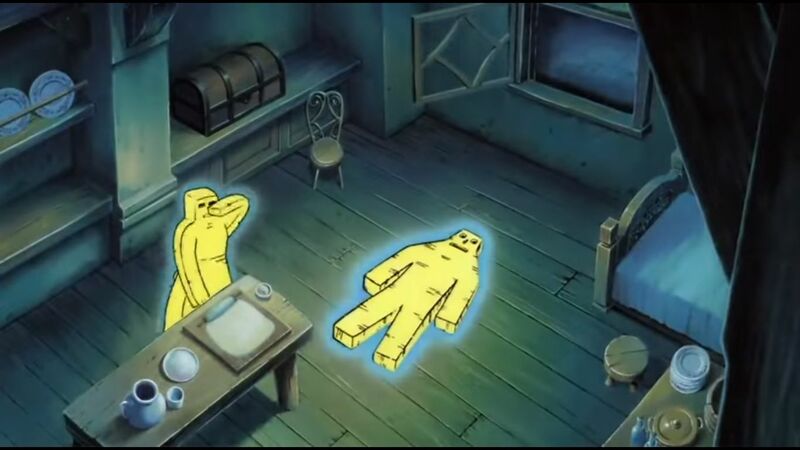 Is it really a kid’s cartoon’s place to make us question the nature of our existence? Apparently, it is in Canada! 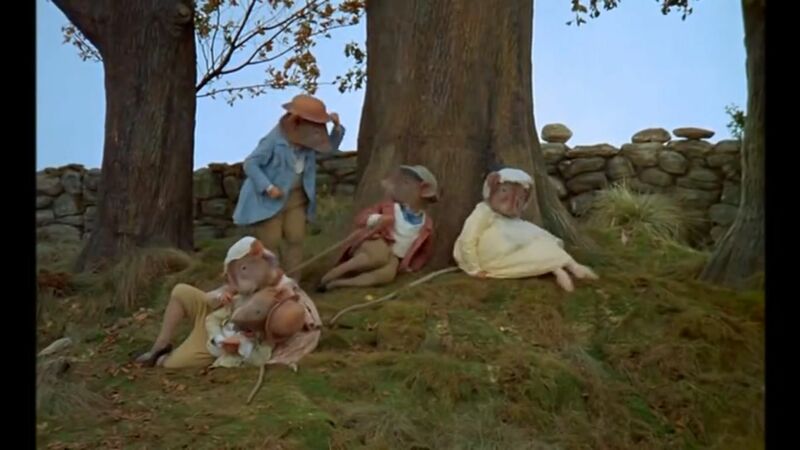 What more must be said than, “Live action people dressed as Beatrix Potter animals doing ballet?” Peter Rabbit & Friends: The Royal Ballet is exactly that. Though the plot is mostly kid friendly, the hyper-realistic fake animal heads (with unblinking eyes, don’t forget those) atop the muscular, leotard-clad bodies of live dancers is just slightly uncanny. The ballet is pretty well-choreographed, the costumes (though creepy) are weirdly similar to the classic Beatrix Potter illustrations, and other than giving children nightmares for the rest of their lives, it’s a pretty beautiful production. His hapless human owner, a little girl, is commanded to do “naughty” acts, constantly getting in trouble. In tears, she explains she’s heeding Hoppity’s orders, but none of the adults believe her. It ends with her being sent to bed without supper, while Hoppity complains that he is hungry. 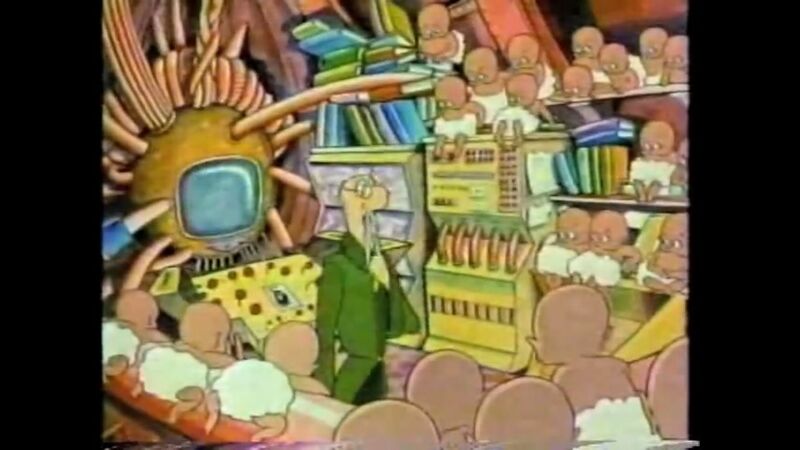 Emmet Freedy was a 1990’s Nicktoon, with an artstyle best described as “Boschian horror-vomit.” Using stop motion (a form of animation that often trips into the uncanny valley), its horribly designed paper-maché characters look like something out of a college student’s creepy art installation. The stop motion is stilted and unsettling, the voices sound like ambien-induced auditory hallucinations, the character’s lips, noses, and faces are grotesquely out of proportion, and the teeth… there’s just way too many teeth. 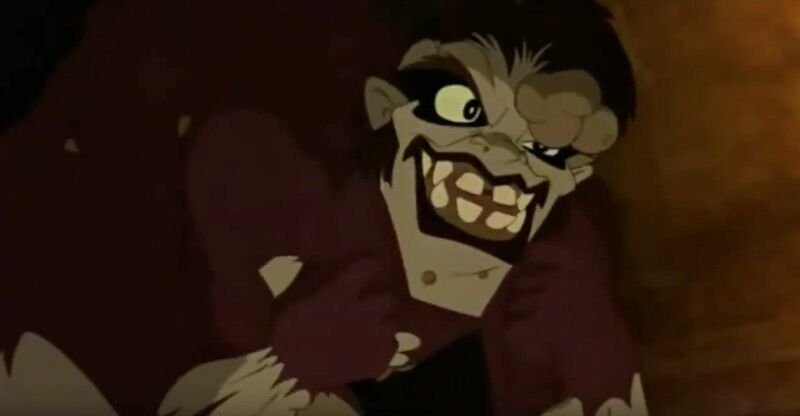 No child should be subjected to this cartoon, and those who were unfortunate enough to watch this abomination should receive a lawsuit settlement to pay for their therapy. Pingu is a 1990’s Swiss claymation about an adorable baby penguin. So why does it make the cut for creepiest children’s shows? Pingu lulls its audience into a false sense of wholesome security, only to rip the rug out from under you with a freaky, giant, maniacal walrus. 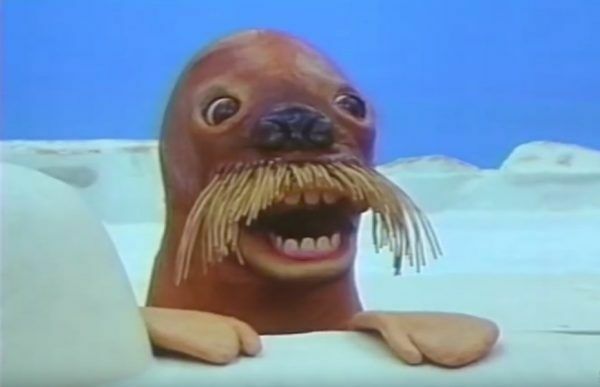 This monstrosity sticks out not only because of its inexplicable human teeth, but due to how incongruous the weirdly detailed walrus is with Pingu’s normally cute, cartoonish art style. To make matters worse, the walrus has a creepy, full-throated, homicidal laugh. As a result, a whole generation of Swiss children have grown up to fear the Antarctic. Don’t be fooled by this 1978 movie’s adorable lamb VHS cover-art. Ringing Bell begins as a movie about a cute, chubby-cheeked lamb, and then it decides to go GWAR on us. A wolf kills the lamb’s mother, and the lamb decides to seek revenge by getting the wolf to train him, so that he can grow up to kill the wolf. The wolf agrees to the terms, and turns the adorable lamb into a demonic, wolf-killing ram. The lamb’s final form looks like some sort of sharp-horned, shadowy, satanic beast. 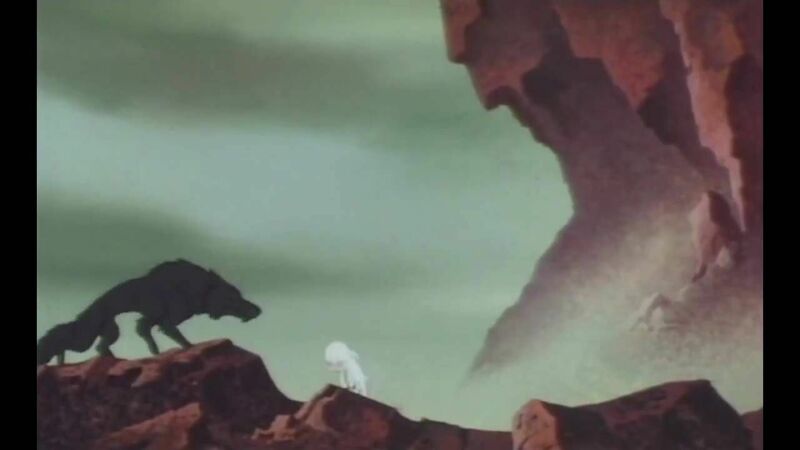 The lamb ends up killing his adoptive-wolf-dad, and at the end of the movie is left alone and miserable. The movie is ostensibly making a point about the futility of revenge, but here’s an idea: maybe don’t sell a story about lamb-on-wolf-patricide to children? Did you know Mike Huckabee helped create a children’s show? And did you know that children’s show is a weirdly on-the-nose series of political indoctrination? And that it decided to ham-fistedly teach kids about 9/11? Well, as it turns out, all those things inexplicably happen to be true. The Learn Our History series teaches kids about 9/11 by tactlessly animating a plane crashing into the twin towers, as an onlooker cries out (without much enthusiasm), “No!” Another onlooker says, woodenly, “Who would do something like this?” We’d like to ask the same question of this “kid’s” show’s creators. Shining Time Station was an adorable 1990’s PBS show that featured Thomas the Tank Engine and his human friends at the train station, including a tiny conductor played by George Carlin. 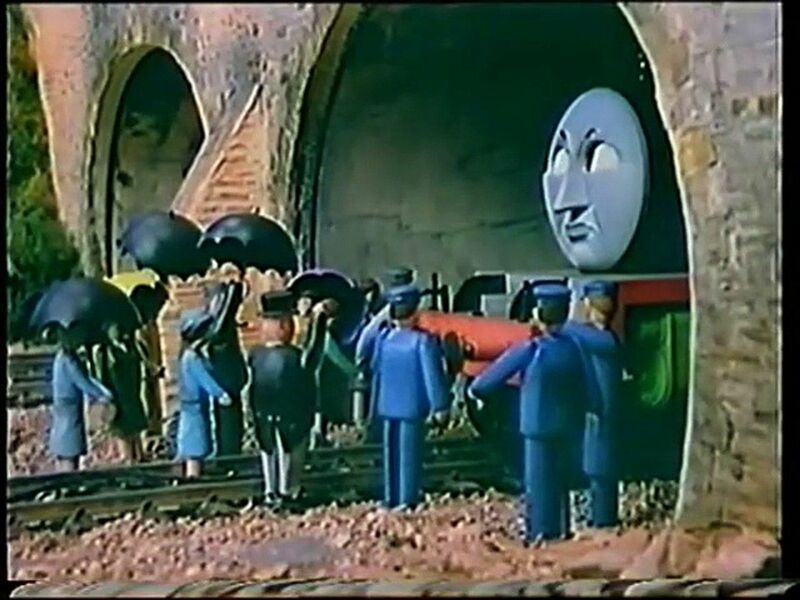 The kids would go on imagination journeys through the train tunnels, during which the audience would be subjected to some pretty weird animations. In one, a little boy goes through a museum of creepy looking paintings, which stick their tongues out and blow raspberries at him. The idea of sentient paintings sneakily mocking you, sticking out their human tongues, was an unexpected source of nightmares. The series also regularly featured puppets who lived inside a jukebox, whose heavy-lidded death mask-like faces occasionally pop up to haunt our dreams. Raggedy Ann & Andy: A Musical Adventure is a 1977 kid’s movie, with beautiful illustrations and lavish animation. Unfortunately, its detail only serves to further the creep-factor during some utterly chilling sequences. Raggedy Ann & Andy, a pair of floppy fabric dolls, run away. Inside a pit filled with some sort of brown taffy, they encounter “The Greedy,” a garish, sentient pile of candy, taffy, and bubbling fluids. It’s constantly hungry and can never be sated, eating itself over and over in a psychedelic animated sequence. 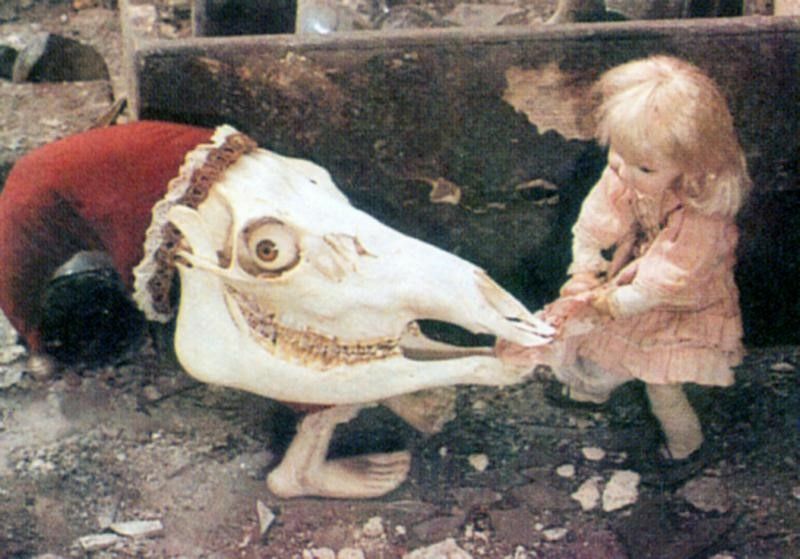 It eventually decides the only way to cure its hunger is to eat Raggedy Ann’s heart. 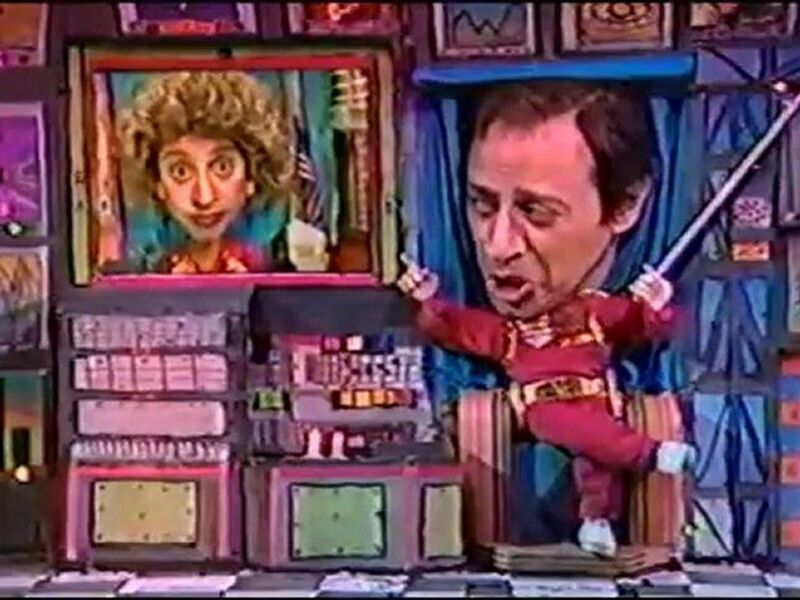 Weinerville was a live 1990’s kids variety/comedy show that aired on Nickelodeon, hosted by Marc Weiner. It sticks in our heads as unsettling not only due to “Boney,” the skeletal mascot/hand puppet, but also due to the “Weinerizer,” a machine that “shrinks” audience members’ bodies, putting their disproportionately-large heads on puppet bodies. 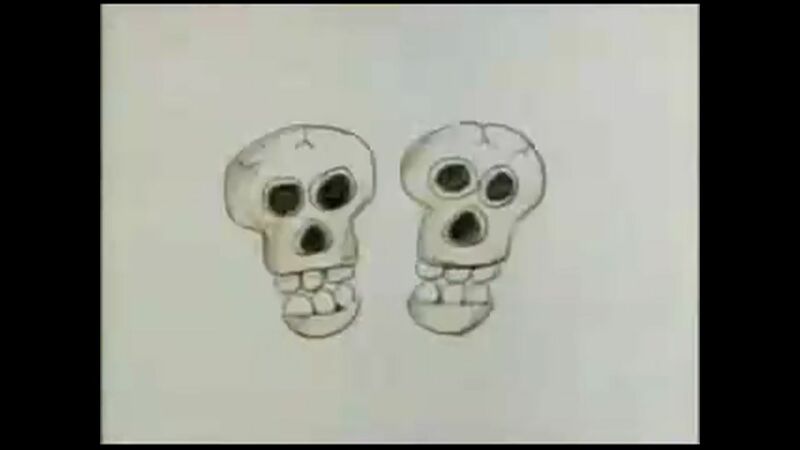 It was a pretty simple trick (their real bodies were hiding behind the puppet stage), but to young viewers’ eyes, it was an act of creepy sourcery. 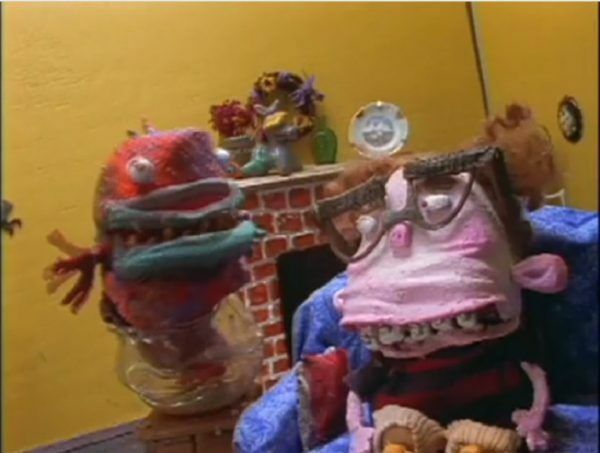 Additionally, there were a litany of weird characters, including “Socko,” a puppet with a high-pitched voice and penchant for kicking people, and Marc Weiner’s human-head combined with a variety of different puppets, which was at times funny, and at other times, unsettling. Unico In The Island of Magic is a 1983 children’s anime about a cute Unicorn-puppy-bear looking animal with pink hair and a cheerful spirit. What could go wrong? Evil puppets, that’s what. In the movie, “Kukuruku” is an abandoned puppet come to life. Instead of having some playful Toy Story-esque adventures, Kukuruku decides to seek revenge on the human race by turning every living creature into freaky, moaning wooden zombies. He uses these blank-faced human puppets as building blocks in his giant evil tower. And Kukuruku himself is a freaky, enormous puppet who eats Unico and a little girl. We guess mentally scarring children builds character? 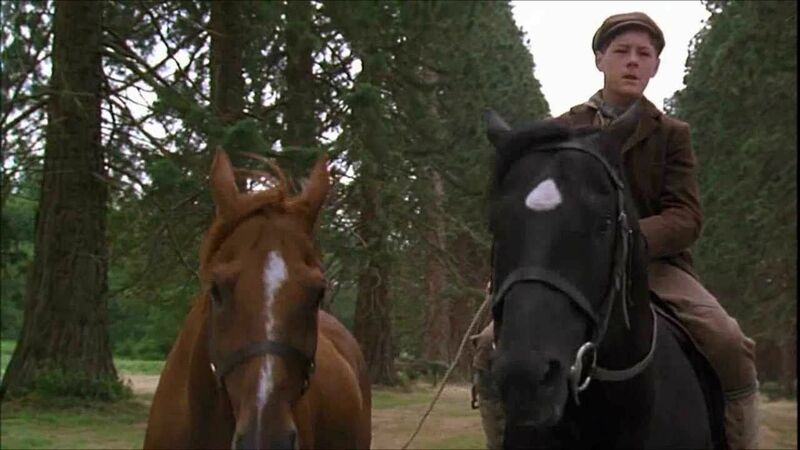 Black Beauty was 1994 live-action movie adaptation of a book by the same name. It’s a movie about the adventures of a beautiful black stallion, which is another way of saying get ready for some dead horses! In the movie, Black Beauty and his best friend Ginger go through all sorts of adventures together including: nearly drowning, nearly dying of pneumonia, being enslaved by evil humans, becoming deeply depressed, and dying. That’s right, at one point Ginger is bought by wicked masters, who beat her and abuse her that her spirit is eventually completely broken. Black Beauty must watch as they cart of her limp, bruised, lifeless body. At least she’s free from pain, Black Beauty muses. What a neat movie for kids. We get it, kids like bright, colorful, surreal world, with frenetic energy and charismatic people. But 4 Square, a Canadian kids show that aired from 2003-2015, tried to go with this formula, and somehow came up with a show that feels like a cultist’s brainwashing video. Three adults, all wearing identical bright-blue spandex unitards (which, on the men, leaves… little to be imagined below the waist), are commanded by a fourth adult in a bright-blue spanex unitard to do a variety of “exercises.” “Spread the cheeks!” she commands, and they dutifully do so. Thankfully, she means the face cheeks, otherwise we’d be leaving a tip for the FBI. Salute Your Shorts is a 1990’s Nickelodeon TV show that follows the live-action adventures of a summer camp and its wacky attendees. 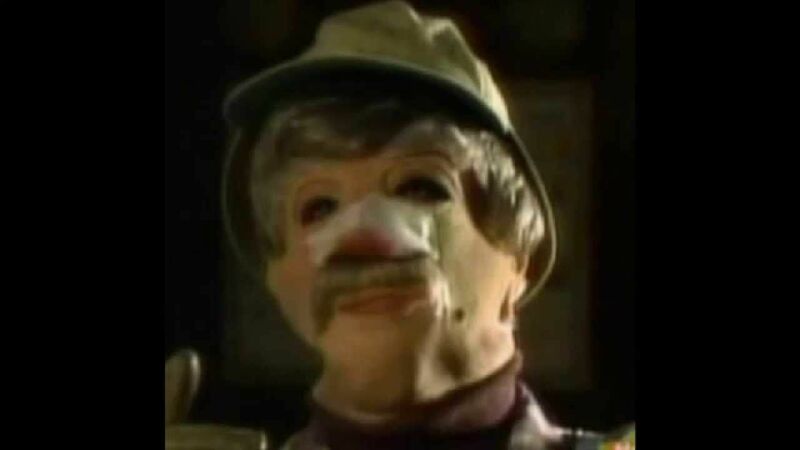 Unfortunately, it takes a turn towards Texas Chainsaw Massacre after the introduction of a spooky camp legend, “Zeke the Plumber.” He’s the ghost of a noseless plumber who died in a gas leak (no nose—he couldn’t smell it). Zeke haunts the camp, wearing a creepy, misshapen mask, with a bloody patch where his nose should be. According to the camp legend, if you touch his cursed plunger, he will haunt your dreams. Thanks for the warning, but we didn’t touch any forbidden plungers and he’s still haunting us to this day. Whenever a user decides to play a game, a giant purple cube descends upon the city. It traps any digital people inside and force them to play a game against the “user.” If the digital people lose, they are “nulled,” aka, wiped clean from existence. 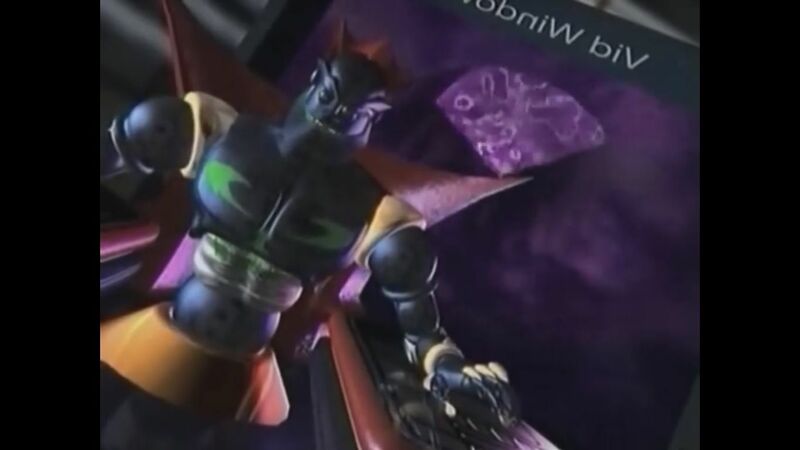 One of the characters (a child, no less) appears to die in one of the game cubes, only to come back later as adult – he survived nullification but spent decades being tortured by video games. It made us rethink the way we treated our Sims. Long Ago and Far Away aired on PBS from 1989-1992. It’s an anthology show of bedtime stories for children. Hosted by James Earl Jones, voice of Darth Vader, Mufasa, and probably God, it is a solid children’s show. However, a few episodes stick in our minds as creepy. “Rarg” spins an animated tale about a world inhabited by strange looking citizens, superintelligent babies, and a mayor with arms growing out of his head. The science babies discover their entire world is just a random man’s dream, and they’ll all die when he wakes up. So they build a bridge to the waking world, kidnap the man, and trap him within his own dream forever. Gee, way to help kids feel safe falling asleep. Moomin are adorable characters created by a Finnish artist, that were turned into an Japanese/Dutch anime in 1990. It follows the adventures of the Moomin family, a group of cow-hippo-dog type creatures. The cuteness suddenly evaporates as soon as the Groke makes an appearance. 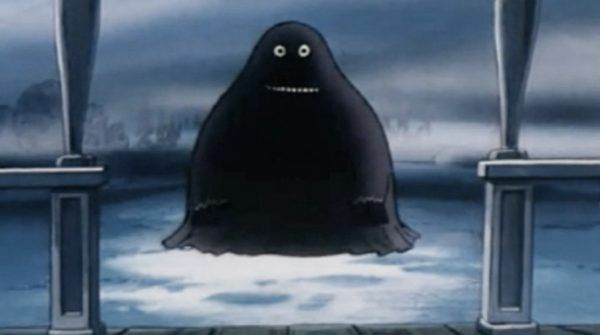 A huge, grimacing, ghost-like creature, the Groke haunts the Moomin valley, freezing and killing every living thing she stands upon. Her appearances in the anime are coupled with bone-chilling death rattles and a menacing musical score. And good news! The Moomin have been reimagined in a 2019 3D-animated series called, Moominvalley. And is that a Groke in the trailer? Yes, yes it is. There’s nothing more pure in this world than Sesame Street, right? In the 90’s, amidst the adorable puppets, sesame street featured brief segments, either cartoons or playful shorts. 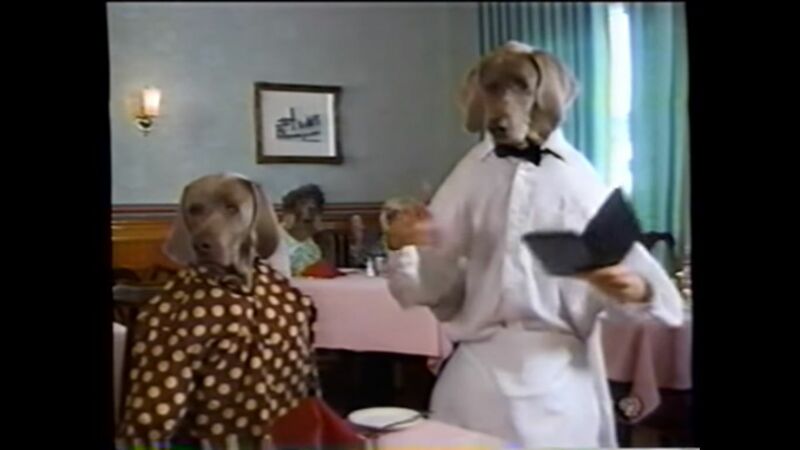 One of which was “William Wegman’s Weimaraners.” Weimaraners are a stately breed of dogs with soulful, somber eyes. Dogs are cute, but not when you give them human torsos. William Wegman is an photographer famous for propping his dogs up on a human actor, making it appear like a person who has a dog’s head. The photographs themselves are a little weird, but in live action the creep-factor is multiplied. The dogs stare woefully ahead as adult actors gesticulate wildly. The dogs? Cute. The half-dog-half-man monstrosities? Not cute. The Brave Little Toaster is an underappreciated 1989 animated children’s movie, and despite its high quality and creative premise, boy oh boy does it have some unsettling moments. 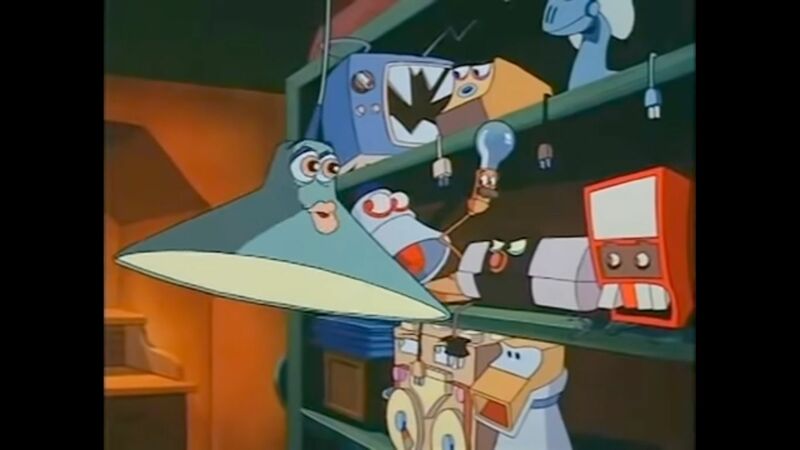 Starring personified household items such as Toaster (who is brave), Radio, Lamp, Blankie, and Kirby (a grumpy vacuum), they set out from an abandoned vacation home to seek their long-lost human master. Along the way they encounter terrifying moments such as being kidnapped by a human tinkerer, who traps (fully sentient and aware) electronics in a vice and rips them apart, harvesting their oil-stained inner parts. He also likes to create “inventions:” electronic devices that have been Frankensteined-together, who are only too aware of their horribly mutilated existence. Toaster & gang also wind up in a junkyard, as old, used-up cars sing a sad dirge about being resigned to their fate (of being crushed and killed by a car compactor). Hey, but Toaster makes toast in the end, so hurray! 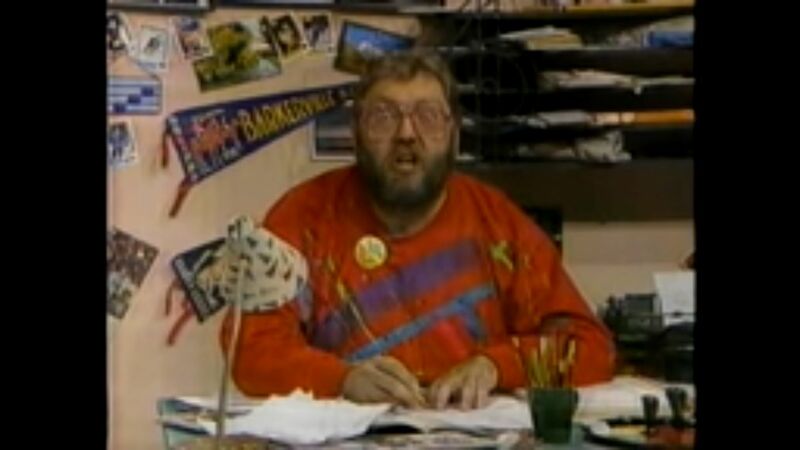 Zig Zag is a 1979-1988 Canadian kids show. Canada, seriously, what the heck is going on with you guys? This show starts a bearded, bespectacled host whose humor feels more like unhinged rantings and ravings than comedy. In one instance, he plays some sort of “tough guy character,” staring in a camera closeup that is far too close for comfort. “You know me… Lemon’s the name,” he says, in an ominous voice more befitting of Twin Peaks than a kid’s show. “You know what time it is… no, it’s not bath time. It’s Zig Zag time. So stay tuned kids! I’m comin’ back a little later. And remember… whatever you do… don’t… make… me… mad…” Cue the jazzy 80’s music and thousands of kids soiling their overalls. 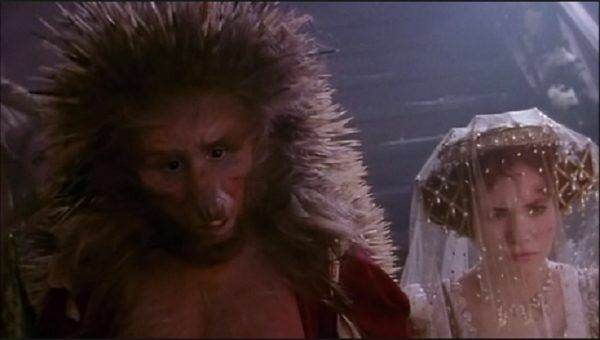 Some of the creepier stories include a soldier whose actions leave him forever stuck between the gates of heaven and hell, a hedgehog-man hybrid, and a princess who is going to be married off to her own father in a bizarre ritual. Needless to say, these themes are a bit mature for children. Don’t even get us started on the spinoff series The Storyteller: Greek Myths that aired in 1990. Yikes. This little-known 1959 live-action Disney flick is an Irish tale featuring leprechauns and Sean Connery. This formula should be foolproof, but oh god, the banshee. Amidst the impish hijinks of the Leprechaun king and an aging Darby O’Gill (played by the very Irish Albert Sharpe), there are startlingly horrifying elements, such as did we mention the banshee?! The banshee, a ghoulish wailing specter with unpleasantly long fingers and a hollow old woman’s face, kills the protagonist’s daughter, and calls upon a spectral carriage drawn by black horses: death. As kids, it made us spit out our Lucky Charms. What happens when you give an alien masquerading as a human a humble animation budget and the directive to make a movie for kids? You get whatever Strawinsky and the Mysterious House (2013) is supposed to be. With horrendously ugly 3D character models, equally terrible animation, and soulless voice acting, this movie is an abomination of sight and sound that should be locked into a vault and hidden away in a vast warehouse. Worst of all is the scene featuring the psychotically-named, “Globglogabgalab,” a sort of half-man, half-Jabba-the-Hutt, melted slug like creature. 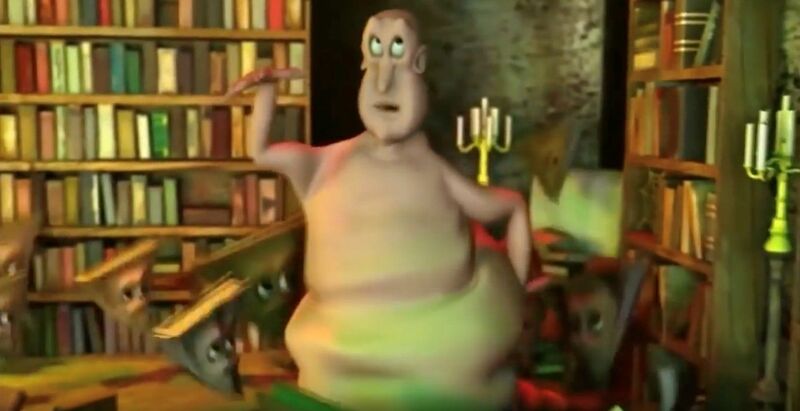 The Globglogabgalab undulates his sickeningly turd-like body, and sings (poorly) about how much he loves books. “I am the Globglogabgalab, the shwabble dabble wubble flaba blaba blab, I’m full of shwimble glibmer-kind, I am the yeast of thoughts and mind,” he rambles incoherently. This movie gets 5/5 stars for traumatizing your children.